Forget Babe the Blue Ox and Bessie the cow! 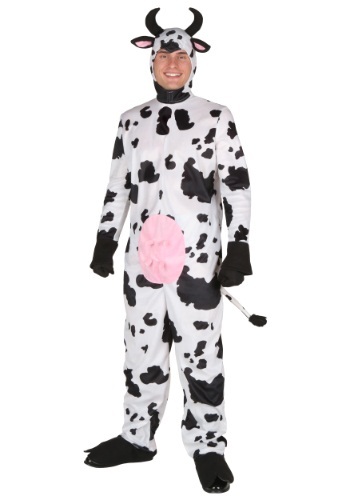 You'll be the popular cow of all when you wear this Adult Happy Cow Costume. Tell the other cows in the pasture to move over...you got some grass to chew on! 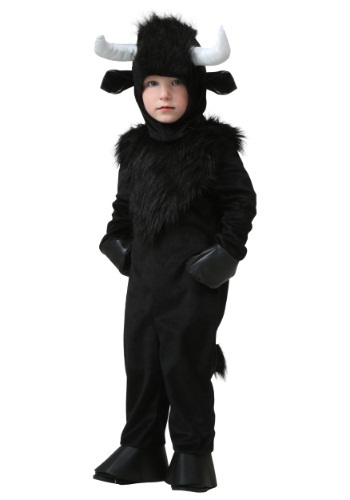 Even if he's never been to Pamplona, your child can wear this Child Bull Costume. Pair it with a cow for a farm theme, or with a matador for a bullfighting theme, or with a cowboy (or cowgirl! )for a rodeo theme. 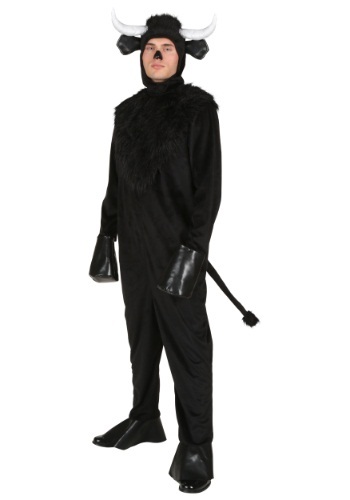 And for once, anyone who says this costume is bull will be right! What do you call a grumpy cow? Moo-dy! 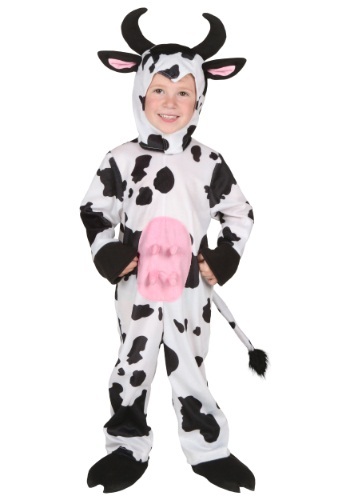 Well you will most certainly not be a grumpy cow while you wear this adorable Child Cow Costume. 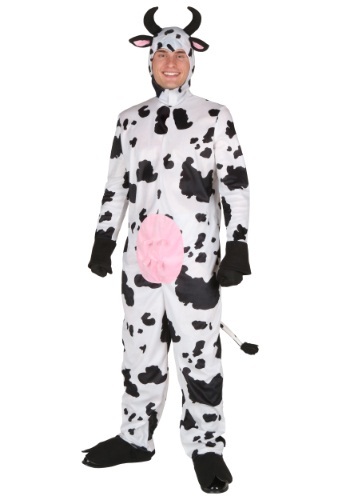 You'll have the coolest costume in the barn when you show up as a spotted cow! 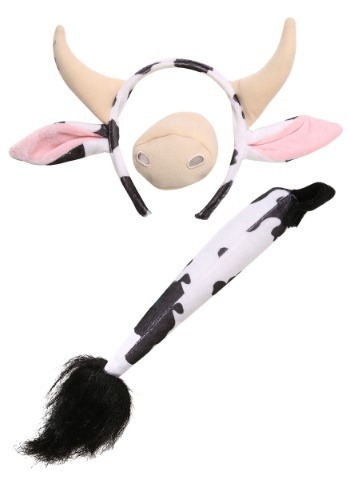 Get moooo-ving on this Cow Ears and Tail Set. Its a quick, easy and affordable way to celebrate the season of ghouls. 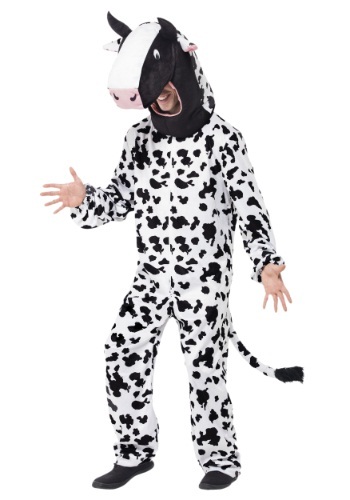 Once he's done being a haunted cow this set makes a perfect costume for a school play! It would have to be about animals of course. "I just need a little more cowbell..."If you've got a big night planned as your favorite barnyard animal, turn your cow costume up a notch with this Cowbell accessory! You'll be able to smooze with all the other animals of the farm or the jungle. Just don't try to sneak up on anyone. You're cowbell ring will be a dead giveaway! The other team better mooove over! Chear on the home team from the stands in this Mascot Cow Costume. 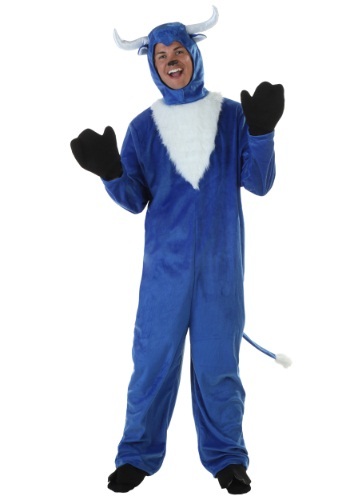 Jump around, dance, even do a backflip in this funny animal costume. This is one cow that won't get tipped! Do people sometimes tell you you're full of...whatever? 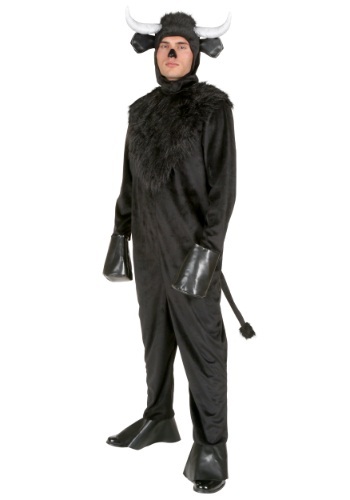 Then maybe you should get this Plus Size Bull Costume. That way those name-callers might be right for a change! 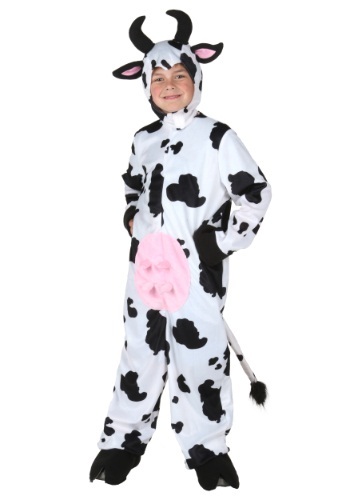 You're about to have a cow when you see this cool costume. 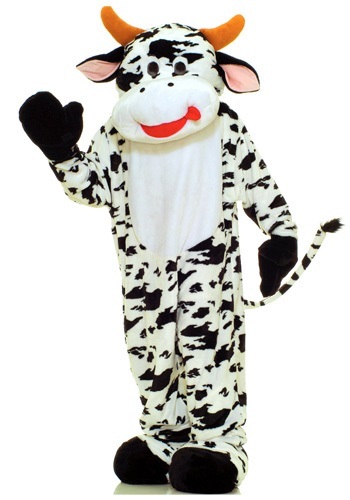 This cow costume is cute, cool, and comfy ( bet you can't say that 5x fast!). So you better get a 'moooove' on and join the rest of the cattle out back. You got some grazin' to do! 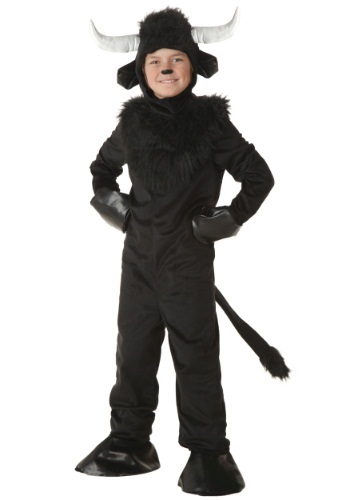 In this Toddler Bull Costume, your child can choose whether to be a fierce fighting bull or one who just loves to smell roses, like the famous Ferdinand. It's great for a farm theme, or a Spanish theme. Olé!